This charming studio shot of a young family “on the road” shows a father and mother with their three children. The mother is carrying a baby on her back, while the father has one in the basket. 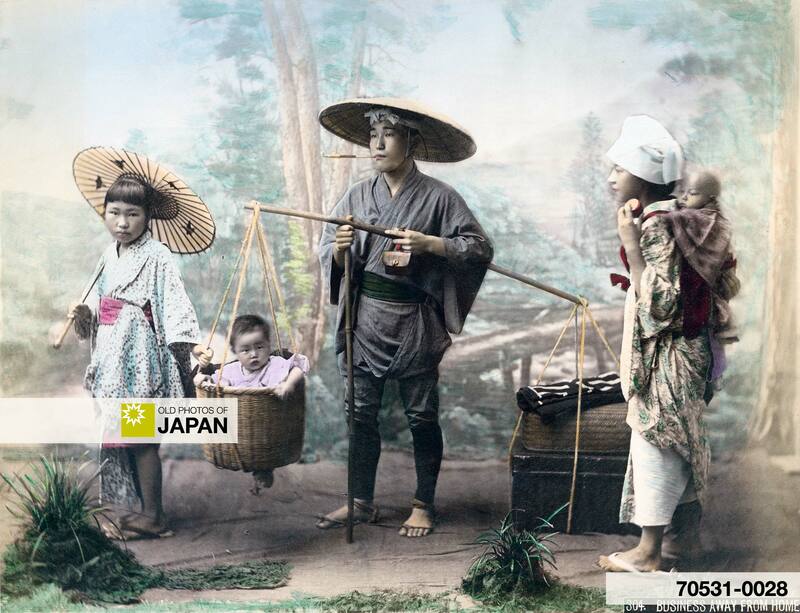 There are quite a few photos of people carrying young children in baskets like this, a remarkable number shot outside, so this must have been a common method to carry around young kids. You can also licence this image online: 70531-0028 @ MeijiShowa.com.